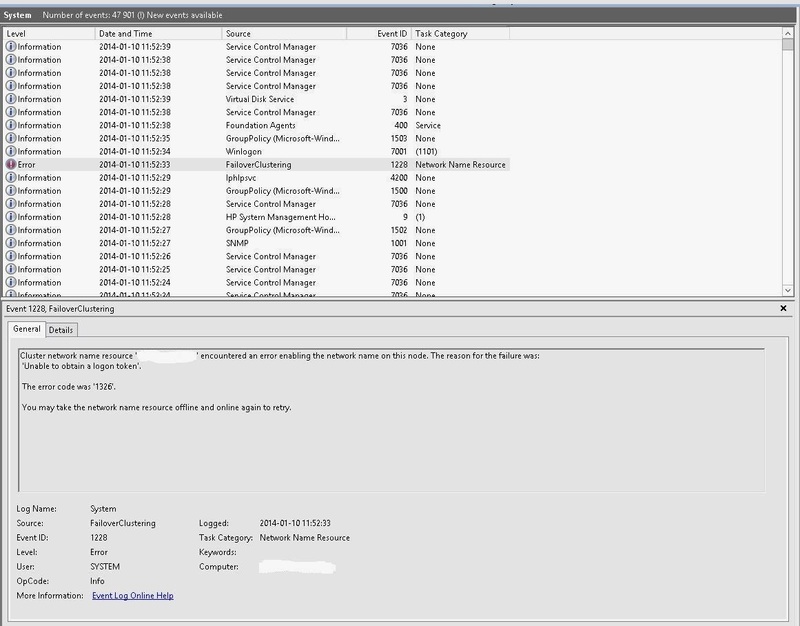 If removal of the CAU for a Windows Server 2012 R2 Failover Cluster has failed or if anyone has tried manually clean up the CAU, the following error might appear in Server Manager. "DCOM was unable to communicate with the computer CAU-name.domain.local using any of the configured protocols; requested by PID b54 (C:\Windows\system32\ServerManager.exe)." "Unable to obtain a logon token"
The error code was "1326". You may take the network name resource offline and online again to retry." If you do not see any trace of CAU but still see these error messages is probably the reason that CAU's Distributed Network Name is left lying around in the Failover Cluster. CAU's Distributed Network Name will be added up automatically during configuration of CAU but does not appear in the Failover Cluster Manager, but is hidden. Use PowerShell to list Cluster Resources and you will see the CAU's Distributed Network Name. Specify Get-ClusterResource -Cluster "Cluster Name"
I have the same problem at own of my customers but when use powershell to get all clusterresource there is no distributed network name. My there be another way to solve the probleme? 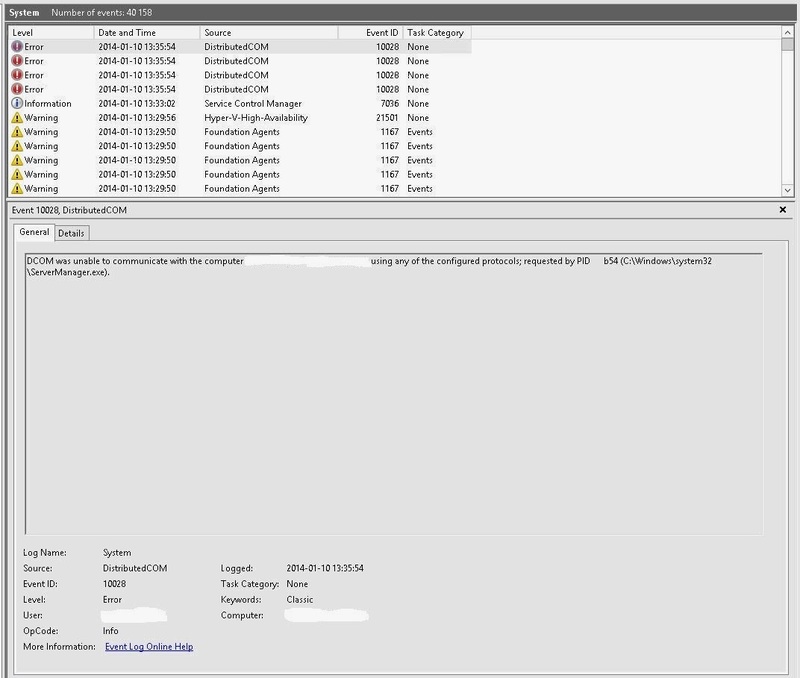 Did you run Powershell as an administrator when you tried that? You've made my day. Thanks a lot !